This morning I came across a copy of the Network Magazine issued by the North East Automotive Alliance. I skimmed through it see what information I could glean from it and was just about to file it for future review when I noticed a picture of myself on the front page. 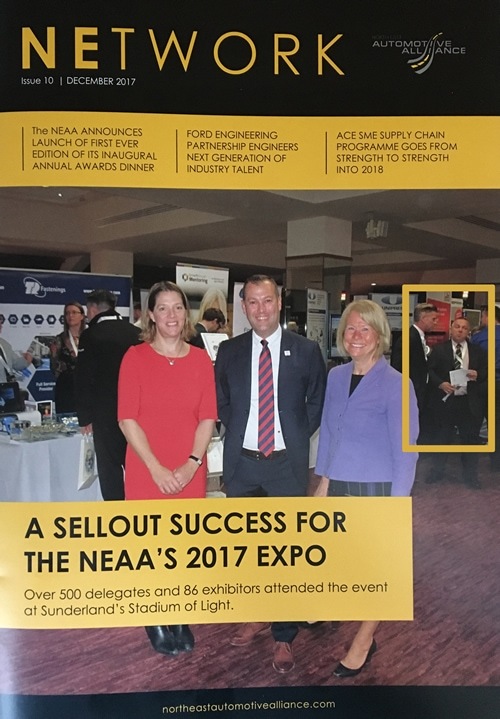 I seemed to have inadvertently photo-bombed a group shot of the headline speakers at the NEAA 2017 EXPO held in October last year. It brought back a few memories of the exhibition and some of the people I met and conversions I had. Also it raised a few laughs and smiles in my office, especially as it looks like I was chewing a wasp.